The fewer jobs you apply for, the better your job search. The classic way of looking at job search is to say that it’s a “numbers game”, where if you send your resume to enough companies, you’ll eventually find an employer who will hire you. Also called “resume blasting” because you’re shooting your resume at so many people, or “the shotgun approach,” because you’re scattering resumes in many directions like shotgun pellets, this strategy does work, otherwise it would never have become classic. But it’s horribly inefficient and for most job seekers, it can be brutal. Maybe it should be called “the shotgun approach” because of the pain it causes. Going down this route usually leads to dozens – even hundreds – of your resumes not being responded to, with morale and hope fading over time on one hand, while other pressures (financial, family, etc.) continue to grow on the other, to the point where you have to accept the first offer you get. How many employers did you apply to before finding your last/current job? Smart job seekers need to research companies to prepare for job interviews. Since this research will be necessary, you can save time and get a better return by doing it earlier in your job search. 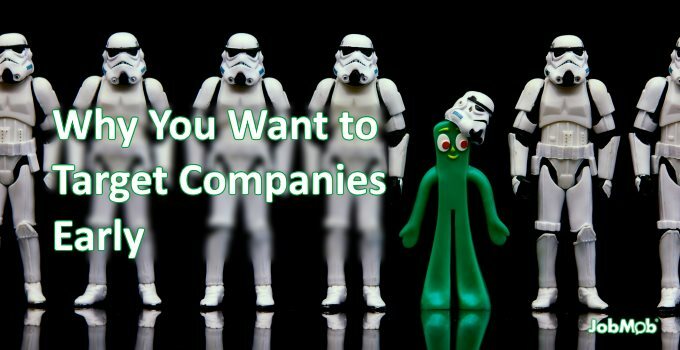 By doing it earlier in your job search, you’ll discover companies that you actually want to work for. By focusing on companies you actually want to work for, it will be easier to motivate yourself to target them. By targeting companies aggressively – since you so want to work for them – you will learn what exactly is needed to get hired (such as by asking ex-employees on LinkedIn). If you know what exactly is needed to get hired, you can follow that blueprint yourself, simplifying your job search. Having a successful blueprint to follow will boost your confidence in the process and in yourself. Having more self-confidence will impress contacts and interviewers, and it will shine through as you respond well to questions, being well-prepared as you are since you did your research early on. Showing how well you were able to know their company from the outside, interviewers are more likely to think that you’ll fit in well on the inside. And all these things – your decision making, research, self-confidence, targeted motivation and ability to follow the success of others – will make them want you on the inside, resulting in a job offer. Wash, rinse and repeat to get more offers. With multiple offers, you can comfortably negotiate from a position of power and make the best choice out of many good choices. Grow your network as wide as you can, but when it comes to reaching out to employers, shoot as narrowly as possible. By following the classic wide or “shotgun” approach, you will send out many resumes but ultimately take the first offer for a job you might not want. By following the narrow or targeted approach, you will send out much fewer resumes and ultimately receive multiple great offers, taking the best offer for a job you want, at a company you want. Steve Dalton, author of The 2 Hour Job Search, explains how to find 40 companies to work for in 40 minutes, and more. The audio-only interview focuses on MBAs but almost all the advice is relevant to other job seekers too. Which approach has worked best for you so far? Tell us in the comments. 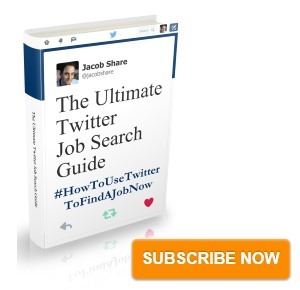 Subscribe to JobMob via RSS or email and follow me on Twitter for more life-changing job search advice. Early is better. People are easier to surprise before they are fully awake. So here I am looking at IT job boards as that’s my field and I also targeted 30 companies I would want to get in with. I sent a well written CV and cover letter. Out of those 30, only 4 replied. 3 replies were the thanks but no vacancies at the moment and one was why don’t you just look at our website and not bother us with a letter. (That was a national UK airline…. a very very large one with blue and white aircraft). My issue is that I want to get in to the large multi national corporations and they use recruitment agencies to advertise and hire. Very few will hire via their own HR departments for my roles. The other problem is getting to know who to contact or write to. Most phone numbers go to a reception or switchboard. The operator or receptionist will normally tell you they can not give your details of who to contact. This is odd as most of who you want is searchable on linkedin. So please if anyone has any good advice on how to know when a job is about to be released and who to target a letter and CV to, I am listening. 30 companies is A LOT to target. I usually recommend starting with 3-5 and targeting each intensively, such as spending an entire day or more studying the company and learning – among other things – how best to approach them if you even should at all. If you research well, you should be able to weed out most of the companies that won’t react to your CV. Thanks Jacob. I couldn’t agree more – targeted, smart applications are the most effective way for people to get noticed. It may take a ton of time and energy up front, but is so much more fruitful in the end. It is so easy to tell which applicants really took the time and specifically want to work for you. In working with job applicants (and in my own job searches) I’ve seen great success when people take extra time to put together a few ideas for how they plan to contribute through the posted job – above and beyond what they include in the resume and cover letter. This demonstrates initiative and creativity. That’s a great tip, Rex. Help employers understand what kind of value they can get from you specifically, and increase your own value in their eyes. 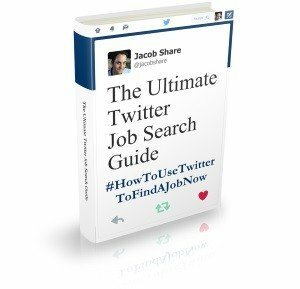 Jacob, I really appreciate all the great advice on your blog posts, however many of them are totally irrelevant in the Israeli job search. The main reason being the mentality of the Israeli employer. As an example the blog you posted about one sentance the interviewer would want to hear from a candidate – wont work here at all. At best he wont get the job and will be laughed out of the interview. With reagrd to this post – you can research companies on the internet and definitely reach out to former and current employees via LinkedIn, but you cannot know what they pay until they ask you what your expectations are – this is usually a sign that they set a ceiling/ budget – whether its realistic or not (usually not) and you’re putting a foot in your mouth. In my field – payroll – there are limited positions avaiable at medium to large sized companies. Not every JobMob article is relevant for every job seeker, regardless of where they are. Blogs can provide terrific information for free, but the reader needs to recognize what applies to them or get a coach (or the blogger) to confirm if it does. On the one hand, if you can find out what an ex-employee earned in a similar role recently at the targeted company, that should give you a pretty good idea of what will be offered. On the other hand, you can do all the research in the world but still miss the mark, because a budget can change between the time when the job opening was announced and offers actually made. It’s even possible that the aforementioned ex-employee was let go because the company thinks they can find someone in the same role but for less pay, and unless the ex-employee was told that explicitly, you might not be able to know. At the end of the day, the fact that preparation can’t be 100% doesn’t mean not to bother preparing.